This City Council meeting was pretty intense. Not from the public comment perspective but due to the decisions we made that will affect our city and its residents for long time. The first item that affects our community was to approve of a resolution called a “Memorandum of Understanding” that details how the Hale Centre Theatre will come about in concert with their ownership, construction and funding. The details are legally protected at this point due to the sensitive nature of the business model. But be assured that more information will be brought out in future public hearings. It’s very exciting and at the same time nerve wracking that we are moving forward with Hale Centre Theater – Sandy! Second, a controversial zoning hearing and decision came to a conclusion that has taken over six or seven months to occur. The zoning was proposed and eventually unanimously approved by the City Council. The decision will improve the quality of life for some of the subject properties adjacent residents and then potentially compromise the quality of life for others. As stated, in the final analysis, the zone was approved as the benefits to one group outweighed the liabilities to the other group. To a certain extent, the Council creatively imposed some conditions thereby softening some of the perceived or real liabilities as stated by the opposing group. The final decision together with its zoning conditions was a multi-level compromise from all parties; the property owners, the developer, the opposing resident groups and the City Council. I hope that all of the participants can recognize the difficulty the Council has in bringing this scenario to a conclusion by making a decision that does not please everyone. For my part, I would ask, beg and hope that those residents and friends who were offended by my vote forgive me and hope they see what I was desperately trying to accomplish: making the right choice for the majority and not a decision benefiting a single organization or group. The Council has an obligation to represent everyone and sometimes that puts me and my vote at odds with my friends – it’s a tough day when that occurs as it was last Tuesday night. 1. MARKET STUDY: RCLCO provided the Council with a market study which projected the amount of residential, retail and office development the City could approve and hope to see it absorbed though leasing or sales in the next several years. We engage these types of reports to help us keep focus on what makes Sandy a great place. We also identify what we need to provide residents and guests to continue making Sandy a great place to live. 2. HALE CENTER THEATER: We reviewed the latest in a series of documents with regards to Hale Centre Theater. The project continues to move through the process and seems to be gaining momentum – stay tuned! 3. PUBLIC HEARING: A public hearing was held regarding the opening of a street into an existing neighborhood. The Council chambers were packed with concerned residents and after it was all said and done no decision was made but still pending. The neighbors who presented information and made comments to the Council and Administration where very respectful of each other as they pled their cases for and against this specific issue. For me the objective, in part, was to try to keep neighbors liking neighbors, regardless of the eventual decision by the Council either for or against. As they left the public hearing I could hear the attendees in the hall and most conversations seemed to be friendly and civil thereby meeting that portion of the objective. The decision which will be made in the next couple weeks will be very difficult for the Council as we recognize not everybody will get what they have requested. 4. HAWK SIGNAL: We approved an inter-local agreement with Salt Lake County providing a new pedestrian signal at 11400 South and 900 East. This pedestrian operated signal will make it safer for our residents and kids to cross this busy street. Thanks to the administration for making this happen. 5. ELECTION NEWS: Its official! We signed the vote by mail agreement with the County Clerk’s office. Voting in Sandy will be by mail only this year which in other cities has increased voter turnout dramatically. Although I know getting people to vote is the priority, I will miss the big event on the first Tuesday of November; guess I just like a party! This City Council meeting was a bit laid back with only four of seven council persons attending. In the planning meeting which starts at 5:15PM, the Council heard presentations on potential bond revision/text language along with a discussion on our parks and recreation needs. With the low unemployment rates in Utah, it does have an opposite impact as the Parks and Recreation department really need some seasonal labor. To help make our seasonal jobs more appealing, the department head Scott Earl suggested changes to the pay scale making Sandy more competitive with our adjacent neighboring cities. In the formal Council meeting, which starts at 7PM, we had several public hearings with request from City staff to make various revisions to the City ordinances. All public hearing items passed unanimously. We also heard a report on legislative events happening at the State Capital. It’s a very different year for our State Senators and House Representatives as a record number of bills have been submitted. Quite a few of the bills will have a large regional impact on Cities including Sandy. It was nice to adjourn a bit earlier than usual for once and get home by 8PM. I know the Scouts in attendance were happy. Hale Center Theatre update: Mark Dietlein from Hale Center Theater and Lyle Beecher, the architect, gave the City Council a presentation of the proposed theater complex to be located just west of City Hall. No guarantees but we hope everything works out as the new design and improvements will be magical to say the least. The new theater will allow higher more impressive actor flying abilities, new technology will also be integrated into the theater for the various productions and seat 850 patrons (with more leg room). This facility when constructed will provide another very real quality of life enhancement for those that attend the theater! The Prestige: The development team of Dan Simons and Russ Platt presented their recently designed condominium project “the Prestige” which will be located south of City Hall (by the post office). Phase 1 is slated to commence construction this summer and will be over 20 stories. Every window will feature outstanding views and again, change the skyline of Sandy enhancing Dan Simon’s original vision of “the other downtown” which was a marketing phrase he coined several years ago when working for Sandy. Citizen Recognition: The Council and Mayor presented Alia Leonard with a Citizens Recognition Award as a result of her helping numerous disadvantaged children providing them in part with birthday gifts, extra clothing, toys and a whole assortment of needed items over the past four or five years. The most amazing part of the story is that this Sandy City resident started her quest at seven years of age! If you know of someone who should be recognized, please let me know and we will contact them and try to recognize them with a formal City Council resolution! Sandy is getting bigger: And yet another annexation petition was adopted last night in the upper bench area near the mouth of Little Cottonwood Canyon. I am grateful to the residents who took the initiative to put forth the extraordinary effort to make this happen. After we passed and adopted the annexation, the residents applauded – thank you. Sandy Pride Day: We are in need of Sandy Pride day volunteers which will be on May 17, 2015. Sandy Pride is the day we work in our community to better the area you live in and help those who cannot help themselves. We have lots of projects lined up and need more volunteers. Please email me or call Sandy City Parks and Recreation at 801-568-7100 for more details. I enjoy my time serving on the Sandy City Council. I hope you find these newsletters beneficial as I am committed to keeping you informed and involved. Please forward this to your friends and neighbors and cc me so I can add them for next time. If I can help you in any way, please feel free to contact me. I love this event and invite you to be involved with me. Congratulations to all – it’s the volunteers in our city that makes it great! In our February 3rd Council meeting, we discussed the potential no-kill shelter policy including the possibility of including a citizen poll with regards to the idea. At the very least, we will have public hearings and seek more input. The next step as decided upon by the Council is to submit a detailed plan whereby the existing animal control policies could be changed to adopt a no-kill shelter proposal along with a “request for proposals” from outside vendors. This will help us establish the actual costs of adopting the idea, before we make the decision. I am the Sandy City Councilman for District Four. During the next six months, I will be serving as the Sandy City Council Chairman and I am committed to keeping you informed and will be sending you a monthly newsletter. The newsletter will provide you with updates on some of the pressing issues being discussed. Please contact me if there is anything that I can do to help you. I will be posting weekly meeting updates on my Facebook and Twitter accounts so please like me in order to stay informed. Another way to stay informed on the local level is through my website. I am in the process of creating the webpage and it will be up and running in a few days. Feel free to visit it and let me know what you think: chrismccandless.me. To contact me through electronic media, my email is mccandlessforsandy@gmail.com and I’d love to hear from you! Please forward this newsletter on to any friends and neighbors in Sandy that may find it helpful in keeping informed. Finally, I want to thank you for your involvement in our great city. Without our citizens getting and staying involved, communicating concerns and volunteering to help on issues that affect all of us, we cannot hope to improve the city to the highest level it deserves. Together, with your involvement, we can make a difference. Councilman Chris McCandless has focused one of the city’s priorities on business growth and job creation helping to make Sandy one of the most financially stable in the state. The most pressing issue facing our City and Country today is the economy and the creation of new jobs. 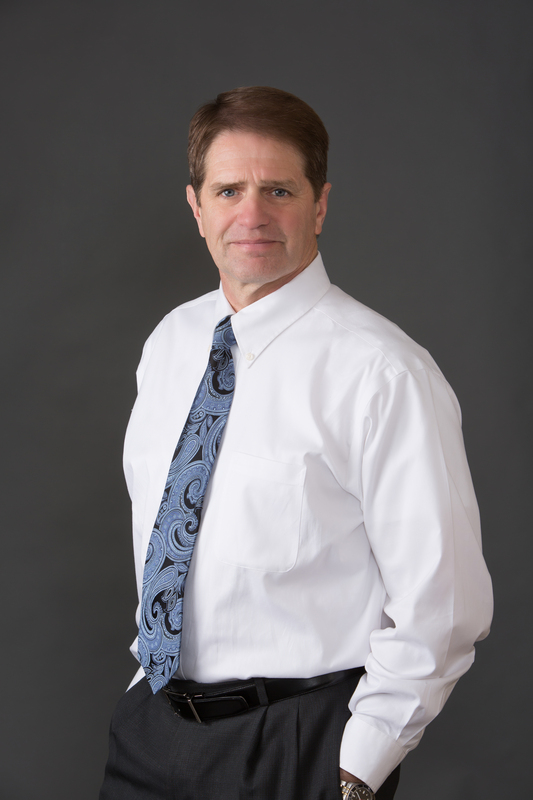 Chris provides 25 years of business experience which helped in the relocation of several businesses to Sandy, including a sporting goods store and Workers Compensation Fund. He supported construction of major community venues, which have brought in outside visitors. Chris founded the tourism committee to attract winter visitors to Sandy and advocates for the expansion of Sandy’s business district protecting the existing tax base and enhancing mass transportation systems. Chris serves in civic areas, such as the Jordan River Commission, a Boy Scout/youth leader, Rotary Club member, Sandy Honorary Colonels, Sandy Sister Cities, Canyons Education Foundation and the Public Utilities Advisory Board. A Sandy City Councilman for the last six years, Chris McCandless helped focus the city’s vision on business growth, job creation, and quality of life, while helping make Sandy one of the most financially stable in the state without raising taxes. As a private enterprise business owner, Chris provides 25 years experience in real estate development/management and community service to the City. He helped in the relocation of several businesses to Sandy, including a sporting goods store, (430 future jobs) and Workers Compensation Fund, (290 jobs). He supported the construction of major community venues, which have brought in outside visitors increasing the city’s stability. Chris founded a tourism committee to attract winter visits to Sandy and is advocating for expansion of Sandy’s central business district protecting the existing tax base while enhancing mass transportation systems. Chris serves in many civic areas, such as the Jordan River Commission, which seeks to complete the lake-to-lake trail vision. He served as a Boy Scout/youth leader for 20 years, been an active member of Rotary International, the Jordan Education Foundation, Sandy Honorary Colonels, and a founding member of the Sandy Sister Cities Committee and Canyons Education Foundation. As a Sandy City Councilman for six years, Chris McCandless has helped focus the vision for the future on business growth, jobs, and quality of life, while helping Sandy be one of the most financially sound cities in the state. As a business owner, managing large-scale real estate projects for 25 years, Chris understands the challenges of business. His expertise is pivotal, since he estimates that 70 percent of Council decisions involve real estate. This expertise has helped in the relocation of several businesses to Sandy, including Workers Compensation Fund (290 jobs), and a major sporting goods retailer (430 jobs). He has supported the construction of other significant community venues, which have brought visitors and increased the city’s tax base. Chris founded a tourism committee to attract winter visits to Sandy and is now advocating for expansion in Sandy’s central business district and enhancement of its mass transportation, which will protect the tax base. Chris serves in many civic areas, such as the Jordan River Commission, which seeks to promote and preserve that natural resource. He served as a youth and Boy Scout leader for 20 years, and has been an active member of Rotary International, the Jordan Education Foundation, Sandy Honorary Colonels, and is a founding member of the Sandy Sister Cities Committee and Canyons Education Foundation. In 2002, he was named the Humanitarian of the Year, by Sandy City, and in 2009, received Sandy’s Noel Bateman Award. An avid hiker, skier, and fly fisherman, Chris is passionate about protecting our parks and trails and preserving our canyons. He has lived in Sandy for over 35 years and is married to Susan McCandless, a teacher in the Jordan School District; they have two children, Meagan, who recently graduated from Utah State University, and Sean attending the University of Utah.